Yes, that's right, Burger King is now serving rice! Introducing the Nasi King™. Enjoy fragrant, fluffy rice paired with your choice of Tendergrill or Fried Chicken. Make it a meal with a soothing cup of hot green tea or refreshing ice lemon tea. 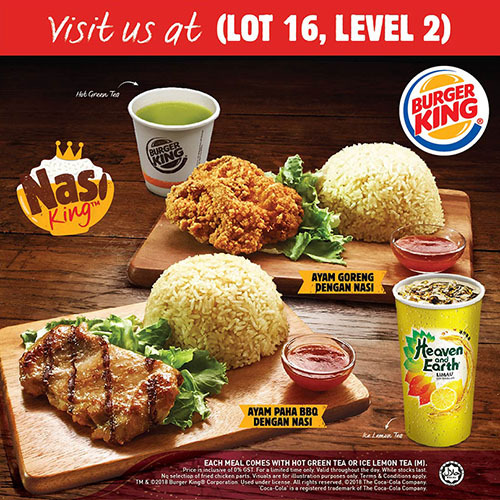 Jom makan nasi at your nearest Burger King outlet!